Online marketplaces can be a huge source for revenue for small businesses without their own websites or low marketing budgets but they’re not without their issues. While Amazon and Ebay are among the biggest players in many countries there are a few others that you should know about when expanding globally. In China these include sites such as Alibaba and Taobao; in Nigeria it’s Konga. If you’re interested in selling to the Japanese, Rakuten is the place to be. To conquer the Indian market – it’s a good idea to get some exposure on Flipcart. In some sectors there are even specialist marketplaces such as Etsy, which focuses on handicrafts and vintage items; Not On The High Street, a marketplace for unique and personalised gifts; and Craftsvilla, focusing on handcrafted goods from India. With sales volumes bigger than Amazon and Ebay combined, Alibaba is not a marketplace that can be ignored. The international B2B giant also offers consumer-focused sister sites, AliExpress, Taobao and Tmall. Whilst Taobao is a peer-to-peer site with a model similar to Ebay’s non-professional seller ethos, Taobao Mall (Tmall) is a B2C site that has more similarities to Amazon’s professional seller approach. Some western brands are already making a success of these portals. Marks and Spencer dresses are currently selling very well on Tmall. There are opportunities to create a branded storefront on Tmall, which is why it’s been a good option for major western brands such as Burberry and Reebok. Like China, Nigeria is a country that has embraced online shopping and the Konga marketplace has experienced astonishing growth in a short space of time since its launch in only 2012. Konga is expanding into other African countries including South Africa, and could be a good way to enter the African market. What these marketplaces all offer is a huge potential audience for your product. Because sites such as Tmall are so familiar to their home audiences, they are a great way to introduce a foreign brand with no local brand recognition or existing market penetration. There’s also a credibility boost as Tmall is pretty exacting about vetting who sells via their marketplace. This may help to assure China’s wary online netizens. For many western businesspeople, marketplaces such as Konga or Tmall are less familiar than sites such as Ebay or Amazon, which many people will already be using as private consumers. Whilst many of the rules for successful selling are the same across all marketplaces – ship quickly, and communicate with your customers – each marketplace takes a while to understand. For example on Taobao you may need to get your head around the rating system for seller credibility – hearts, diamonds, and gold crowns all feature. It’s wise to do plenty of research before you begin, and it’s important to use third party information rather than just read what the marketplaces have to say themselves. There are various online forums dedicated to sellers on the various marketplaces, including this one on Reddit dedicated to sellers having their orders fulfilled by Amazon. Some marketplaces have fewer resources for overseas sellers in English, however Tmall has made some efforts to create information specifically for Western audiences. You may also need a strategy for handling local language customer service queries – a must when attempting to sell your products to a new market. Although selling via marketplaces helps you avoid the need to have a dedicated localised website, it’s still necessary to tailor your offering to the local conditions. This may mean adapting your sizing and how you describe the product, including the language you use. For many people, a trusted marketplace such as Tmall or Amazon is the first port of call when looking for goods online. These examples are both known for their huge catalogues and are trusted brands when it comes to order fulfilment. Many customers feel confident buying through portals like this and find it easy and convenient to do so. From a seller perspective, an international marketplace can be a good way to raise sales volumes. Amazon claims that sellers often report a 50% increase in sales when they join the Amazon marketplace. Sellers who open a European account on the Amazon.co.uk site will be able to instantly sell across five other markets including Spain and Germany, managing sales from a single account. There’s also the option to translate products in order to reach other markets on Amazon. From a practical point of view, many vendors find the option to have their orders fulfilled by Amazon suits their practices (others report a high volume of their stock going missing in Amazon’s warehouse). There are strong disadvantages too. Amazon’s business practices (including accusations of tax evasion and unethical working conditions) are controversial. There are competitive pressures and Amazon is notorious for undercutting their own vendors by entering commodity markets where they identify opportunity to make their own sales. On some marketplaces vendors find themselves competing with counterfeit versions of their own products, or finding rival vendors leave negative reviews on their listings. Selling on Ebay offers the opportunity to reach any world market rather than just the five immediately available via Amazon. One vendor of retro garden ornaments in the shape of flamingos found that, whilst only about 1 in 12 sales came from overseas, these tended to be larger orders than was the average. Because Ebay allows sellers to set their postage costs individually for each country, it was no most costly to fulfil these orders than domestic ones. The vendor found that overseas buyers were willing to meet the postage costs and fraud was low, so selling to a number of low-risk countries made sense. Many vendors prefer not to sell to countries that are particularly notorious for fraudulent transactions. These include Russia, Indonesia, Romania and Nigeria. There are hazards associated with online selling in any channels. The seller of lawn flamingos found fraud to be surprisingly low, at fewer than 1 in 100 sales, but other vendors have had to abandon certain products because of the high volume of fraud associated with them. Several electronics vendors have described the practice of buyers returning goods that were clearly a used version of the new product they were sent. This is a fraudulent way to get a replacement for a damaged electronic item. Amazon tends to say there is nothing they can do about this practice – vendors suggest using a security marker on all goods dispatched so the vendor can prove the returned item is not the one dispatched. Whilst Amazon may still refuse to take the seller’s side, announcing that you use this practice in the product listing may help deter fraudsters. In disputes between buyer and seller, it tends to be the case that the marketplace will favour the buyer. PayPal, the online payments system owned by Ebay, is notorious for freezing seller accounts when there is any dispute and this can take a long time to resolve. One seller of jumping stilts had to abandon their business when their account was frozen for several months. Vendors are strongly advised not to keep more than a small float of money in their PayPal account to avoid this hazard. One food kit vendor decided that Not on the High Street was a good option for her niche product, despite the high fees the site charged to list in that marketplace. Her product was a unique kit enabling people to make filled chocolates easily at home. Her marketing challenge was that people were not aware that a kit like this existed, and she didn’t have a lot of resources to invest in a marketing campaign. NOTHS invests into marketing so (unlike Etsy) it’s a recognised brand for many gift purchasers. Customers on the website searching for gifts would discover the kits when browsing for various categories such as ‘make your own’ or ‘gifts under £25’. NOTHS offers multiple marketing opportunities including the option to pay for access to a sizeable audience via the NOTHS email newsletter and brochure. Whilst the products on the NOTHS marketplace tend to be relatively expensive, customers are prepared to pay a premium to source an appropriate gift. For a product targeted as a gift, this was an appropriate marketplace. Vendors on NOTHS frequently relate that customers in this marketplace tend to be particularly demanding compared to Etsy, and more likely to complain, so the cost of returns needed to be factored in. Because products in this marketplace tend to be purchased as presents for others, there were also costs associated with presentation packaging and gift wrapping. This required the vendor to improve her product presentation and invest in better quality shipping materials. While all marketplaces like to boast of fast dispatch, the vendor found that customers on Ebay and Etsy tended to have lower expectations for shipping speed compared to Amazon and NOTHS. This is perhaps because the former are seen as places where vendors aren’t necessarily businesses but rather peers, artists or crafters, and customers have lower expectations. It’s also the case that shipping costs are high on NOTHS, which means customers have high expectations for speed of dispatch. Unlike Amazon NOTHS does not offer a fulfilment option, which meant the vendor needed to commit to making daily shipments. Handicraft marketplace Etsy offers a similar marketplace experience but unlike NOTHS, it’s far less well known as the site does not invest heavily in marketing itself. However, it is free to join Etsy. Etsy has a strong audience in the US but it is less well known in the UK. It may be a good place for small businesses offering unique items with a strong vintage or craft angle. One of the top vendors on this site sells unusual beads and charm items for home jewellery makers. This vendor promotes their site using an Instagram feed and weekly newsletter. Clothing sellers, such as independent clothing labels, have also found success via the ASOS marketplace. ASOS offers the opportunity to create a boutique and develop a following for a particular niche, such as digitally printed accessories. The appeal of this marketplace is that it has a fashion-hungry audience who are willing to buy, and spread the word about products they like. Craftsvilla focuses on India-made products and ships to over 20 countries. This marketplace is a real success story and has grown quickly. Craftsvilla concentrates especially on Indian clothing, and so the site is a good option for the Indian diaspora looking to buy occasion wear for weddings and other events from outside the subcontinent. Delivery can take up to 3 weeks for buyers outside India but despite this slow shipping speed 25% of sales come from North America. These specialist marketplaces tend to be more informal than B2C and B2B retailers such as Alibaba and Tmall, however they may be right for small niche businesses. Whilst it may seem overwhelming how many marketplaces the world has to offer, each is unique and can offer opportunities if the marketplace is the right fit for your business. 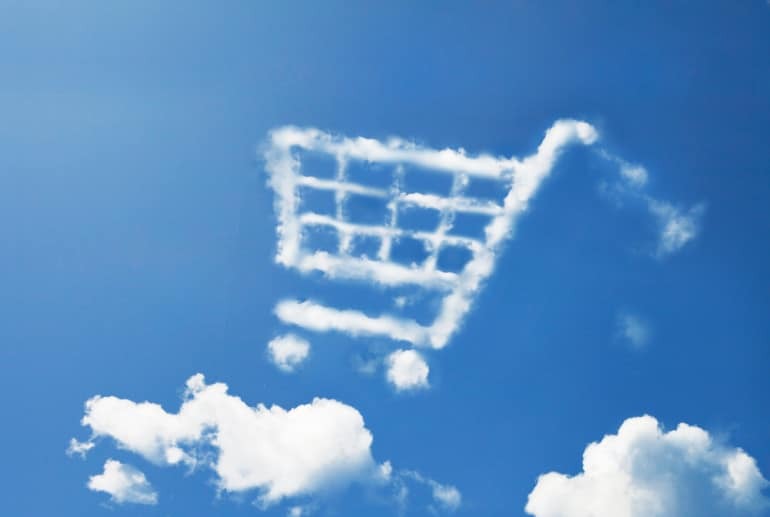 According to Internet Retailing, 95% of UK retailers are selling through online marketplaces. The huge growth in this industry has led to the development of a new industry focusing around the product information and inventory management of marketplace listings. ChannelAdvisor provides its customers access to online marketplaces and price comparison websites in over 40 markets around the globe. Monsoon Commerce offers the ability to synchronise your inventory across all marketplaces in real time and apply dynamic pricing to products and product ranges with integrations available for many online marketplaces, payment gateways and ecommerce platforms. Volo Commerce, Fulfil.io and Sellbrite are a few more examples of players in this space. For companies that require support selling through e-marketplaces – We Are Pentagon offers a dedicated team of eCommerce consultants and expert online sales knowledge to help retailers expand into new markets using online marketplaces. The market for marketplace management is one that is growing very quickly as retailers and manufacturers realise the potential of using these channels to increase domestic and international sales. We expect the market to grow further in the future with an focus on localisation and personalisation – including the use of high-quality product descriptions and local language customer service to fuel demand in overseas markets.